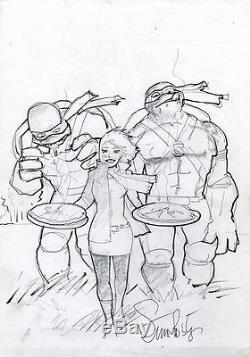 SIMON BISLEY ORIGINAL ART TMNT #45 Motor City Comic Con Pencil/Ink Prelim Art 2015. This is the original pencil/ink prelim cover art design to the fully painted Teenage Mutant Ninja Turtles issue #45 Motor City Comic Con Variant by Simon Bisley published in May 2015 by IDW Publishing measuring approx 17 inches x 12 inches. 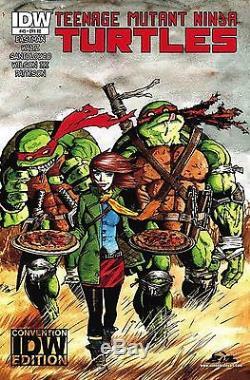 SYNOPSIS: The Turtles return from Burnow Island to find unimaginable tragedy. As the family struggles to cope, an enraged Foot Clan prepares its revenge. Its all been building to thisthe start of the final storyline leading to #50! The item "SIMON BISLEY ORIGINAL ART TEENAGE MUTANT NINJA TURTLES 45 Motor City Prelim Art" is in sale since Tuesday, June 20, 2017. This item is in the category "Collectibles\Comics\Original Comic Art\Covers". The seller is "reedcomics" and is located in Bedford. This item can be shipped to United States, all countries in Europe, all countries in continental Asia, Australia.